If you are trying to find the video titled ‘OMG An accident on Roller Coaster in Disneyland Paris‘ then you can stop your search. The Facebook video ‘OMG An accident on Roller Coaster in Disneyland Paris’ is a malicious application which will install malware on the victims computer. This scheme is used by hackers to install malicous applications and to earn a revenue from the survey scams. 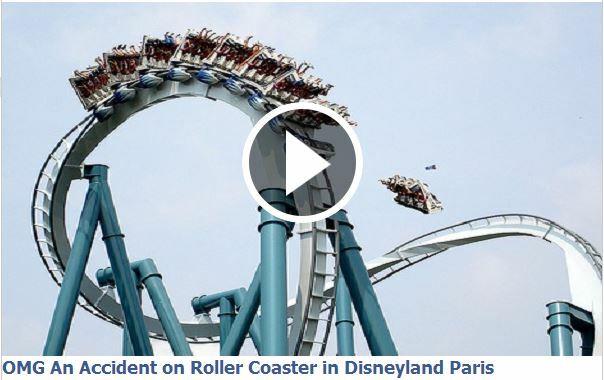 This time the hackers decided that they will use the Roller Coaster accident in Disneyland Paris to trick their victims to install malware. The hackers that use these schemes are very dangerous as they could easily include a webcam hacking malware which will allow them to spy on each infected person. Do you have a daughter or a son? then you might consider to read this guide on how to stay safe on social media. In this video you will be able to see how a teen girl got her webcam hacked by a cybercriminal. The effects on the girl were shocking.